Three Hundred and Twenty Five! For those of us that post our artwork online, sometimes it gets really difficult to post for the pure fear of someone stealing your artwork and claiming it to be their own. The more I venture into this illustrative world the harder everything becomes regarding posting. I know that you can copyright things but does that actually do anything, I mean once its on the internet I feel like it’s a free for all. Anyway, I was super happy with the way this image turned out. 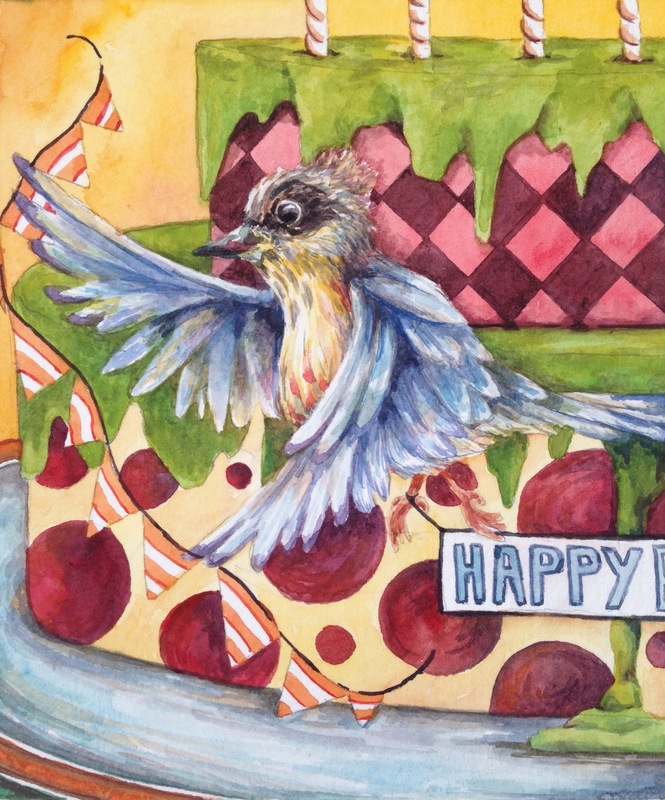 It started from a tiny sketch of a bird with garland and developed into this fun birthday piece. The colors really work for me here, they are bold and fun and I think would draw a kid right in. I mean think about it a little bird flying around your birthday party hanging decorations? I would lose my mind! Enjoy and see you next time! It’s great for a kid and I love it too!